I had been looking forward to having another crack at the Paul Kirk 100 as I hadn’t done it for a couple of years. Matt Porter has really taken the event forward since we originally conceived the route back in 2009. This year saw the event located from Brigg Town Football Club and was a lot better for parking and easily catered for the largest field to date of nearly 500 riders. Although the weather looked good there was a deceptive chill in the air which made for a cold wait in the car park for the off! BDCC were out in force and it was good to see other bunches such as Lincsquad, KLCC and 53eleven with many a familiar face. Anyway time to go and we were off, nice and steady for the first few miles. My plan was to start to push after we had gone through Messingham, which I did as we got through the lights at the bottom crossroads and started to make headway and felt good! Both bolts snapped in the seat clamp!! Then disaster!!!! 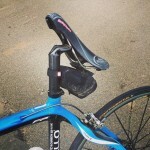 My clamp holding my saddle on snapped and nearly had me off the back of the bike! Thankfully this wasnt a few minutes earlier when I was putting my gillet on, otherwise I would have been kissing the tarmac!!! The rest of the BDCC bunch caught up and offered to stop to help, however knew this would be in vain and waved everyone through. I first thought that was it for the day and mentally I had already thrown the towel in! I called Sarah and asked if she could pick me up from Messingham and slowly headed (stood up!) back to meet her. It wasn’t until Sarah picked me up and her suggestion of getting the other bike and bringing me back again, the thought of continuing entered my head! So that is what I did, got home grabbed the new Pinarello for its unplanned maiden voyage and off back to Messingham we headed and also spotting David Hinch on the way which was a bonus. I rode with Dave for a while and then Dave stopped to help someone with a puncture and told me to carry on. 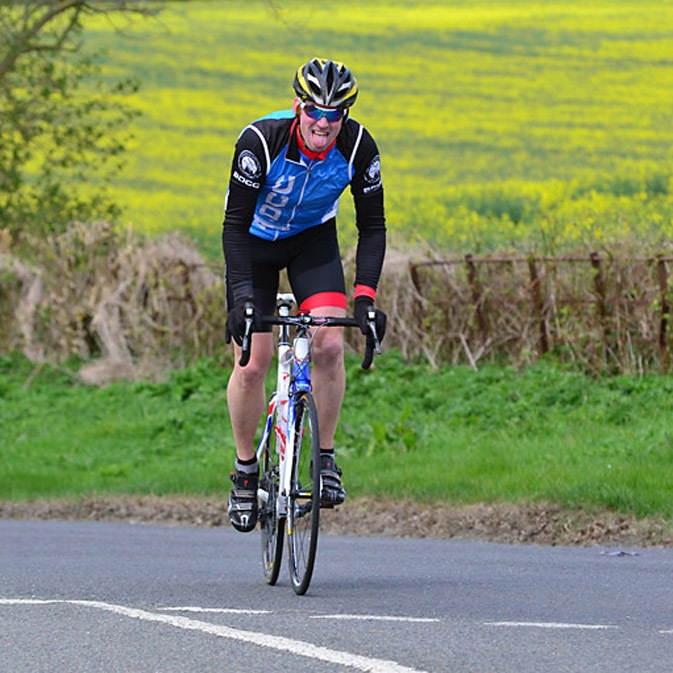 Paul Kirk 100 – Cresting the climb at Ingham! I continued and was probably going to hard as mentally I wanted to try and catch people before the finish! This saw me on the brink of bonking at the first feed station, but the encouragement from Steve Cannings and David Gibbs spurred me on further. I picked up again and continued at a reasonable pace, every now and then I would spot a rider in the distance and this kept me pushing that little bit more. After the second feed station I seemed to hit a bit of a wall in the constant headwind! The last leg from Barton was great as it was a tail wind home, and boy was I glad to see Brigg and get a well deserved pint at the footy club. It was also great to hear that the rest of BDCC had all achieved either the 100 km or the 100 miles as well.